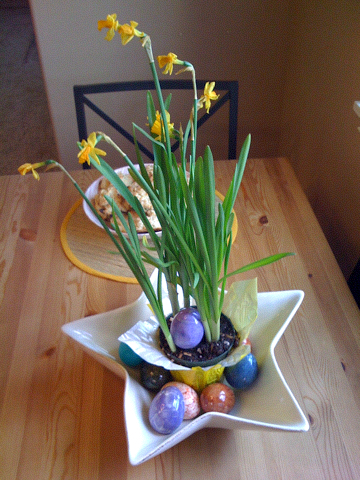 The lovely center-piece features dinosaur eggs and flowers. Blog with the iPhone's original blogging app, iBlogger, by illumineX, inc. Enjoy blogging when you're on the go, with iBlogger! Great news -- will you ever update ECTO as well? Yes, we're working on an ecto update, too!